Spring is just around the corner. Bringing sunny skies and warm breezes. From bright colors and fresh scents, these are the months to clean up, clear out and envision the possibilities for your home. Get ready for all that spring has to offer with a visit to this year’s Columbus Dispatch Home and Garden Show. Slated for Feb 18-26, the annual expo is sure to inspire. 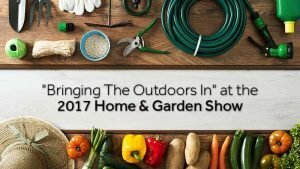 Featuring a variety of hands-on demonstrations with expert home improvement gurus, the popular exposition will showcase tips, tricks and ideas for “Bringing the Outdoors In,” by creating a style for your home that exudes outdoor living at its best. Join HGTV’s popular Scott Bothers, of Property Brother’s fame, as they share their home-improvement knowledge with this year’s crowd. Highlighting ways to incorporate outdoor style inside, this popular duo is likely to be a big hit when they make their Feb. 25thappearance. The Columbus Dispatch Home & Garden Expo is a great place to get inspired and formulate a plan for the coming season’s home improvement in your home. But, spring is still weeks away. Why wait to get started? The weather may still be wintry, but that makes it a good time to ready your home for those big warm weather projects. Start by de-cluttering your space. Begin with one room (or even a single cabinet). Clear out all of the junk (either toss or donate), and then consider storing those items you want to save, but don’t need instant access to. Zippy Shell, a leading exhibitor at this year’s Home & Garden Showcase, offers a unique storage solution for de-cluttering every home space. Offering self-packing storage shells that are brought right to your front door, Zippy Shell makes cleaning and organizing easy. Once the unit is filled, simply call the office, and a crew will return to take it to a climate controlled facility. When you need your items returned, the Zippy Shell crew will bring it back. Simple and safe, it is one of the most convenient and efficient ways to store your belongings. Installing glass slider or French doors: Not only does this allow more natural lightto flood the room, but it makes access to your outdoor living space quick and easy. Adding a vertical herb garden to your kitchen: A perfect way to bring nature inside all year long and freshen up your recipes. 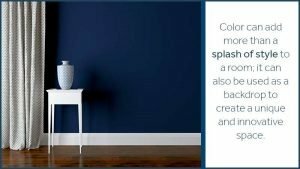 Accent with water: Whether you add a waterfall to a wall or some other water accent to your home, it is a simple way to add natural, relaxing elements. Create an outdoorsy backdrop: Color can add more than a splash of style to a room; it can also be used as a backdrop to create a unique and innovative space. Add texture: Natural stone around the fireplace, bamboo floors, or even tile countertops can all be used to give a room more outdoorsy look and feel. Turn to Zippy Shell for help with all of your storage needs. Offering a variety of storage solutions and discount pricing, Zippy Shell Greater Columbus leads the way in helping Columbus residents get organized and stay organized. Call today for a free quote. Spring Is A Great Time To Move!